In December 1987 the Pet Shop Boys released “Always On My Mind”, a cover of the song made famous by Elvis Presley and Willie Nelson. It became the Christmas Number One that year. Almost a year later, they released Introspective, their third album, whose fifth track is a nine-minute version of “Always On My Mind”, including an acid house inspired breakdown that features Neil Tennant rapping. Introspective marks, in Tennant’s words, the end of the band’s “imperial phase”, where virtually anything they tried came off and was commercially successful. It charted at number two, behind U2’s Rattle And Hum. Sixteen years later, at the end of a Freaky Trigger pub crawl, someone said that “Always On My Mind/In My House” was the best record of all time, and around a dozen of us agreed, or at least did not disagree, and that installed it at number one on our list, a list, we promised, that we would write up for the website over the course of 2005. And so we all went home the merrier for it. And ten years after that, here we are. When I wrote about “Always On My Mind” for Popular – giving it a 10 – I suggested the flash and bombast of the Pet Shop Boys’ synth arrangement preserved the song’s humility. I think I was mistaken about that. Neil Tennant isn’t gloating about his neglect of his lover, but he isn’t humble or regretful either. His reading of “Always On My Mind” preserves the admission at the expense of contrition: he is laying out the facts as he sees them, but even at this late stage he will not commit himself. Fortunately, the song has already done it for him: the crashing, swaggering synth riff that defines the Pet Shop Boys’ cover leaves you in no doubt which way Tennant is jumping. But on this extended version, the riff is discarded, and Tennant’s wonderfully considered vocal holds the spotlight by itself. This time, he’s more thoughtful, more equivocal. And he has been across the whole album. Introspective is called that because that’s what the songs are like – “the Smiths you can dance to”, a winking Pet Shop Boy said to Record Mirror – but what the record is often about is autonomy: the will and fantasy and loneliness of living your life however you choose. As the opening song puts it, “I could leave you, say goodbye. I could love you if I try, and I could, and left to my own devices I probably would” – the desire here is for the fact of the choice, not its making. And on Introspective’s extended version of “Left To My Own Devices”, Tennant is faced with that choice, and smiles, and simply rejects the decision itself, stepping out of the song’s binary into a final-verse dreamscape where all his imagined possibilities mix into each other. It’s intoxicating – an old rock dream of total individual freedom seductively re-stated as a promise of pop music. A promise – or so I heard it at 15, very ready for such things – that pop contains doors. Doors which, if you bolt through them at the right time, on the right day, could simply upend the way you see the world, by rejecting false choices and connecting impossible things: “Che Guevara and Debussy to a disco beat” – whyever not? Great pop music is forever being confronted by sentences that start “Great pop music is…” and try and throw a rope around it. “Left To My Own Devices” tells me that pop (or love, or people) are defined instead by how they shrug off or wriggle out of definitions. That was one song, and at the other end of the album, “Always On My Mind/In My House” picks up the same threads, more darkly. Without the riff to bring Tennant’s decision home, he can lose himself in equivocation again: “Maybe I didn’t love you quite as much as I could,” he’s singing, but his unruffled tone is saying… and maybe that doesn’t matter. But the difference between “Devices” and “Always” is that in the former I hardly notice the “you” it’s sung to, I’m as giddy as the song is about its celebration of possibilities. “Always On My Mind/In My House”, though, is haunted by its wounded “you”, who is paying the price for the singer’s indulgent indecision. We can be, to ourselves, as undefined as we like: sometimes other people need us to be fixed. Tennant makes the opposing case. It’s not enough. The song collapses around him. The way we worked out the greatest songs of all time was simple. We sat round a table, drinking. Someone named a song. If someone seconded it, it was put to a veto. If enough vetoed, it was off the list. Otherwise, it was on. Once we had a hundred songs, the list was over, and the final named record was number one. It seemed as honest a method of making a list as the usual ways, one as likely to reward happy memories or well-timed jokes as acknowledged classics. One of the things that is favoured when you make a list that way, in the pub, are moments that can be easily imitated, in the pub. Neil Tennant’s rap on “Always On My Mind/In My House” is such a moment. In the plan of the record and its emotional journey that I’m outlining, it has a place – a list of excuses for inattention that the production, speeding and slowing, turning Tennant’s speech into a calliope ride, seems to mock. In the Pet Shop Boys’ career it has a precedent too – it’s an extension of “The Sound Of The Atom Splitting”, their theatrically disturbing surrealist B-Side. None of that matters next to the pleasure of putting on a funny deep voice and going “You were AWLWAYS” like a slowed-down record. It’s silly, as befits the greatest song of all time. It’s the end of 1988, the dying days of it, that odd slice after Christmas and before New Years. I’m in my room, listening to a cassette of Introspective that I copied off a friend. The album is a few minutes too long for half a C90, so the final track, “It’s Alright”, cuts off. I don’t mind that as much as I should, because in 1988 I don’t understand “It’s Alright”. A cover of a house music track by Sterling Void, the man with the greatest name of all time, it sounds corny and repetitive to me. But for thousands of people Sterling Void, and musicians like him, are one of those doors that open up in pop and rewrite the shape of their world. A few miles outside my bedroom is the M25 London Orbital motorway, opened two years earlier. On it, British pop music is changing nightly. The looped road means that convoys of cars can move around it at speed, looking for illegal warehouse parties, getting instructions at service stations or on new mobile phones that keep them an hour or two ahead of the police. The house and techno music played at them (and in clubs, and in fields) has begun its irreversible transformation of British pop. The Pet Shop Boys – born out of a shared love of clubbing, remixes, import 12”s – looked well placed to take advantage of this new world. Instead, they never really meshed with it. The roots of their work were in Hi-NRG, synthpop, Freestyle, italo – the melange of post-disco dance musics where smart, direct lyrics and strong pop songwriting could thrive. The blissful structural explorations of house and techno – its repetition, its long breakdowns, the different ways it used vocals – drew on other parts of clubbing history and culture. Like pub rockers when punk came along, the Pet Shop Boys almost fitted in, but that almost could suddenly seem glaring. 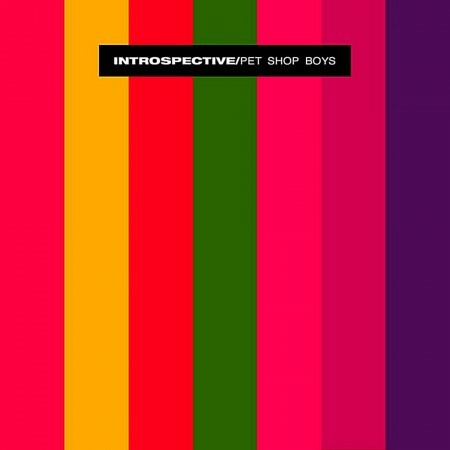 I assumed, perhaps, that Introspective was the Pet Shop Boys making house music. It’s not: it’s the Pet Shop Boys responding to house music, trying to fit some of its ideas to their template. The breakdown of “Always On My Mind / In My House” is the best example of this. An acid bassline underneath a mournful orchestral melody, leading into an angry thicket of programmed drums, and then the whole thing repeats. It’s unsteady, more a travelogue than a groove, and it sounds little like any contemporary club music. The template is still the extended pop 12” mixes of the mid 80s – by remixers like Francis Kevorkian or Jellybean Benitez. Even so it feels like a house-inspired version of those, because of the dark bassline, the pitched-up squeaks of “You were always!”, and because while it sounds eventful now, back then this middle stretch of the song seemed forbidding, alien even, in its minimalism. All this is knowledge applied in hindsight. It’s 1988. The new world is propagating imperfectly, and has not reached my bedroom. The magazines I read are other schoolboys’ copies of Q and Record Collector, which have no interest in orbital raves. They lead me to Morrissey and REM at best, U2 and Pink Floyd at worst. I start the Second Summer Of Love exploring classic rock, sometimes with enthusiasm, increasingly with duty. Then I discover the Smiths – a door to bolt through, a name to call myself. I like indie music. By the end of the year I’m an evangelist, drunk on new rules and prejudices. But my friend has the new Pet Shop Boys album, and offers to tape it for me. We used to listen to Actually together, but that was long ago, all the way back in 1987, when I was 14 not 15, and I still liked pop, not indie. I’ve made my choice. The riff – and with that sudden shunt of synthesiser at 5’22 the whole of “Always On My Mind / In My House” is revealed as an extended exercise in delaying it – doesn’t just define this Pet Shop Boys cover version. It defines their entire, storied, “Imperial phase”. I once spent a whole Pitchfork column trying to throw a rope around the term “Imperial phase”: I suspect it wriggled free. But the point of them, it seems to me, isn’t just that the stuff you always do well becomes absurdly popular, it’s that the stuff you stretch for, and risk, comes off too. So while a relatively mediocre Pet Shop Boys single like “Heart” reaching Number One is the sign of an Imperial Phase, so too is the band invading the rock canon, at Christmas, with an Elvis cover and a video of clips from a surrealist film they’ve made, and it seeming like perfect, swashbuckling sense. And this also is a promise of pop music: it can make any decision you take seem the right one. “Always On My Mind/In My House” is not part of the phase, by Neil Tennant’s own definition. “Domino Dancing”, the melancholy lead single from Introspective, was the Pet Shop Boys stretching once again – two uptight Brits making Latin synthpop – and it failed: it staggered into the Top 10. The game was up. So this uproarious minute of music, the riff rampaging through the song, synthesisers squealing and drum machines crashing around it, is a victory lap and farewell to the brief moment of British pop when the Pet Shop Boys were in charge of it. They will go their separate ways now, the Pet Shop Boys becoming a band that can release songs like “Left To My Own Devices”, “Being Boring”, “Can You Forgive Her?”, and “Se A Vida E”, an occasional, clever counterpoint to the rest of whatever pop is doing. But in this minute, this bubble of pop, they will always reign. Wasn’t it fun? Meanwhile there’s a song to finish – one last go-around for “Always On My Mind”, this time closer to its hit single version, with the riff appended, once again making Tennant’s choice obvious. The seductive refusal of decision in “Left To My Own Devices” finds its balance, the tune finds its breakdown, and the album can proceed to its happy ending. As can this list. It’s the most liminal time of the year. The days between Christmas and New Year are, if left unfilled, an unsatisfying appendix, like the minute or so of unadorned beats you find sometimes at the end of dance tracks, a residual tail for the mixer to match the next record to. Christmas is the year’s natural climax, New Year its natural beginning. The space in between is an equivocal season, something left hanging like an unresolved decision, or an unfinished list. And now the list is finished. Something else can be the greatest record of all time. Not everyone who started reading the list is still reading, not everyone who made the list is still with us. I’m going to post this, put on my coat, go to the hospital, and then eventually go to the pub, because it’s December 29th and that’s what I do. Perhaps I’ll see you there. Suppose we should all just pack up and go now then? And so, we return again to the beginning/pub. My favourite group of all time. Their best album of all time. I always ranked the full version of ‘Devices’ above this, but this has put AOMN/IMH in a whole new light. Spotifying it now on a sunny but frosty December morning, after reading that, it sounds like the greatest song ever created. Jaw droppingly great. After the horror story that is ‘The Millenium Prayer’, this is just what’s needed to end the year on a high. Can’t have old Sir Cliff having the final word for 2014. What a trip down memory lane thinking back to the PSB infatuations of my teenage years. They have been rekindled! But I actually think that Very was as good a PSB album, if not more stimulating given its variety, as Introspective. Thanks for writing this great piece! Tom surely can wax poetic. Your deconstruction of an excellent track mixed with your reconstruction of the influence of pop music was wonderful to read. You pulled a tight rope in both directions: pop music vs everything else; music trends vs trendsetters; On My Mind vs In My House- and everyone won like a “permanent holiday in endless sun.” I’m sure Chris and Neil have big smiles on today. Thank you. This is a great piece – and it’s great that the mystery of who and what was no 1 was revealed – and I agree it’s a fitting one. Imperial Phase PSBs For Adults, maybe. We had joy, we had fun…. Wow. There’s ‘dissecting a track’, and there’s this. A pretty impressive job, and an interesting list. Oddly, I never have considered Introspective as the PSB’s third album, but as one of their ‘in between albums’ escapades, a bit like the Disco series in a way, perhaps because of the extended dance formats instead of ‘regular size’ songs. I guess we all have our favourite PSB songs, and mine often sway from Some Speculations or Being Boring to October Symphony or Left To My Own Devices, but there’s no denying their cover of Always On My Mind is, still, 27 years on, truly magnificent, and never fails to get me on my feet, either this or the original, or every time I’ve seen them do it live. The very positive reaction to this piece (thankyou all!) makes me really kick myself for not getting in the 33 1/3 proposal for Actually I worked up – I misremembered the deadline and then decided not to pull an all-nighter to get a sample chapter written. Maybe next time. I, er, always preferred It’s Alright to LTMOD or AOMM/IMH. But Introspective would have been one of the perfect albums had it not been for Domino Dancing. List – sorry, but will forget stuff otherwise. 1 Delighted with the No1 choice, love this track. 2 Relieved at the No1 choice, it has lifted the whole chart and a duffer here would have disproportionally downgraded my thoughts. 4 My review of the top 100. Love it not being similar to other charts. Admire it for not worrying about been cool. (it is very uncool in places – but I’m not exactly the in the cool police ) LIked the reviews; good mix of fact and opinion, and generally enjoyed the comments for the support and also for those who wrote the extraordinary dissent. 5 Tom’s line “we’ll be counting these down over the next few months..” from the post on Jan 3rd 2005, turned out a little optimistic. Reminds me of local newspaper stories of extremely overdue library books and decades late arriving Christmas cards. However please note this is a gentle tease, and I am overwhelmed with the work rate this year; I struggle to keep up just reading! Have a good break, and I look forward to February. 5 Pet Shop Boys – spoke to hardtogethits the other night about a few things we discussed at the time. Firstly ‘Always On My Mind’ getting to number one was made extra special as we were convinced that Rick Astley would be. 7 Finally, the ‘unlucky’ release dates of Pet Shop Boys albums, ‘Brothers In Arms’ was still up there when ‘Please’ came out, ‘Bad’ came out the week before ‘Actually’ – both top 10 in the UK all time best selling albums and, as mentioned above, ‘Introspective’ clashed with ‘Rattle and Hum’ which was a top 10 selling album of the year. 8 Enjoyed Popular ’79 thread tremendously this year, and have been amused and informed on a regular basis by Mark G, Lazarus and the Swede – thank you. Wow. I’ve never heard the album version before. But I’d heard a version of the single at a formative time for me. I remember my mother buying our first CD player in 1990. And because we were living in a small country town all she could buy to play on it were two CD box sets – one of instrumental classics (Bolero etc) and a 4 disc set called Synthesiser Sensations. Synthesiser Sensations was a cheap set of synth covers of famous synthesised or electronic tunes. Some, like Popcorn, various Jam Hammer film tracks and Chi Mai were very faithful to the originals. Others were attricious, like the complete butchering of the opening of Tubular Bells via cheap synth tones. Amongst the classic TV themes, Vangelises and Jarres was some pop, incluing Orchestral Manoeuvres on the Dark and the Pet Shop Boys. This was where I first heard All Ways On My Mind. It was fairly faithful to the single version (though like the entire album no vocals were added) though I would not know this for a few years. Even though I can’t remember them from 1988 despite being a committed listener to Top 40 Australia, it’s wasn’t until their cover of Go West I first caught up with them. I hated the song and the video, but then again I didn’t understand their schtick. Later I heard their cover of Streets and West End Girls and I thawed, and I became a casual though enthusiastic fan with Single Bilingual. But Always On My Mind will always to me be a slice of classic synth music, from back in the days before I heard house while drum n bass and other electronica were to come. This synth music to me was the future as much as the early computer generated film clips, Star Wars and the promises of VR. The 90s took it in directions I never imaged, but I am still nostalgic for those days. I always preferred the single version and thought the Introspective mix dated really bad – almost soon as it was released – and wrecked a lot of the symphonics of the original. But this is convincing me to rediscover it. I’ve actually read this now – the previous comment was written as I was out the door as well. This is indeed great work Tom – I also liked the way that (er, for me at least, at my reading speed), it works well with listening to the track at the same time, enough of a gap to swish each stage around your head before heading on. My recollection (though it was a while ago) was that a crucial part of the ‘methodology’ ten years ago was that the actual number we were voting on wasn’t at any point publically clear – it was obviously getting closer to 1 (and as more people joined in, it was harder for ahem fanbase tracks to get on) but there wasn’t a mantle of “now we are voting for the best track of all time” draped around the nomination.